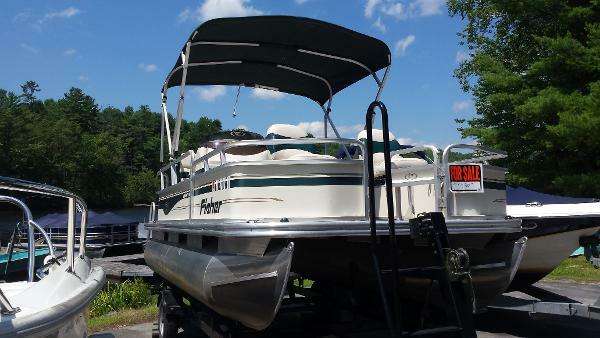 2003 Fisher Liberty 200 FISH 2003 FISHER PONTOON 20FT. MODEL-LIBERTY 200 FISH COLOR-BURGUNDY OPTIONS: CANOPY TOP CD PLAYER EAGLE FISH FINDER LIVEWELL ROD HOLDERS TROLLMOTOR WIRING 2003 50H.P. MERCURY FOUR STROKE 2012 BOAT TRAILER ALUM. This boat is first class and Premium Condition. Leather beige seats. 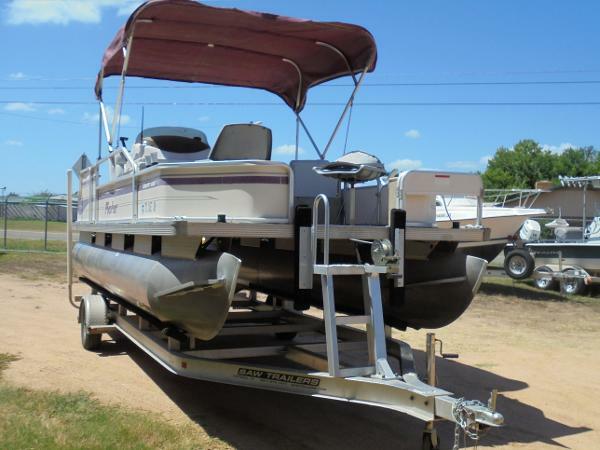 Beige exterior Freshwater 2007 Pontoon Fisher Liberty. 180 Fish and Pare. 18 feet long. Trolling motor 2 fish finders... Am Fm Cd Xm. 7 life vests. Factory BBQ grill Custom cover. Mercury 50 hp motor. This boat have less than 100 hours one owner. 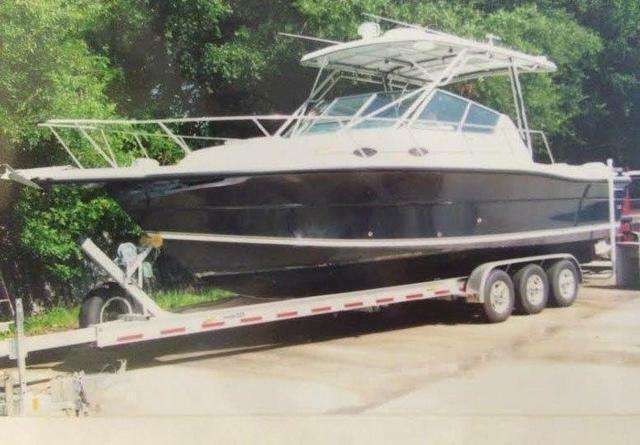 Always maintained meticulously on schedule with nothing but premium fluids parts and service every time.. Full financing professional nationwide shipping and extended warranties are all available on approved credit..
Boat OWNER'S NOTES for 1989 STAMAS Liberty rebuilt in 2007 in EXCELLENT condition, call boat owner Roy @ 239-272-8003. BOAT LOCATION: Estero, Florida OVERVIEW: This is a custom restoration of a STAMAS 33' LOA Sport Fisher, This boat was restored from the keel up, The boat has a 11' 2" beam which is unheard of on a boat this size, STAMAS is the oldest family owned boat builders in the USA, Their boats are well known for the workmanship such as the strongest built hull around, There is plenty of room on this boat for fishing or just enjoying with the family for cruises. LAYOUT: Sleeping quarters (2) Forward Berth, (2) Aft, The cabin has an A/C unit that I just had put in that is double the rating, Very cold, There is a sink,stove,and refrigerator in the galley, The head has a macerator attached as well a shower, Lots of storage down below. FEATURES:Hookups for TV for cable or antenna, There is a forward bilge (easy access), There is a freshwater holding tank for showers or for the sinks, 1 up next to the cockpit area and the other in the sinks bathroom and kitchenette area sink, There is a hatch for fresh air over the forward bed, Did I say there is plenty of storage area!! The captain's seat has room for 2 (bench), This boat has a huge hardtop to keep you out of the rays of the sun or you can move to the aft for sun if you like, There also is a bimini top to completely cover the aft if necessary, I had Eisenglass built around the cockpit area also has complete canvass, On the hardtop is the radar and the outriggers also the search light (which has a remote next to the captain), The anchor is a windlass with a remote as well, This boat has a fantastic sound system with speakers down below and up top (BOSE SPEAKERS) also 2 amplifiers, AM/FM/CD/BLUETOOTH, For power I have 2 recently purchased EVINRUDE 250 engines built in '04 they were built with some of the ETEC within. ENGINES & EQUIPMENT: The motors run strong, this boat can get up and go very fast or great for just cruising, The boat has a 200 gallon fuel tank that I took out and had inspected to be perfect no rust or intrusion, I also had it tar wrapped to keep it that way, Below deck is easy access to everything, built the batteries higher (4) 2 on each side I have 2 bilge pumps one low one higher, The oil tanks are easier to fill and all the pumps are there to be accessed, I cleaned and painted the fiberglass with coast guard grey don inside, Also added an Electrical bank for easy access for wiring the charger is in this area, Did I forget to mention that there is plenty of storage, lockers on both sides of the boat and under the captains bench, There are tons of rod holders under the hardtop and down below for safe storage. ELECTRONICS: RAYMARINE, sonar radar, GPS, autopilot fish finder etc. UPGRADES: There are (2) levels and in between is a large fish hold for the larger fish.This boat rides very smooth with the wide beam. There are no leaks, When I had the boat apart I went ahead and put in a new heavily fiberglassed bulkhead, The interior of the boat was completely gel coated, no carpet, The steering is Power Hydraulic Steering, There are light systems all around the boat and down below, This boat also comes with a triple axle aluminum trailer I had blueprinted for Stamas, I built it very strong for more weight also has special rims w/spare. FINAL NOTES: There are so many things on this boat that I can't name them all, but it is a pleasure to drive, I am the second owner and when I bought the boat I had it overhauled and restored, It is a '89/'07 when it was rebuilt, And through the years I have added everything conceivable to this boat, It is a beautiful boat with the hull a dark navy blue with white on top, I also have a warehouse full of anything else you might want to buy from me, This boat has been totally taken care of and will be a great boat for someone else, Built with love!!! I'm only selling it because of my health!! 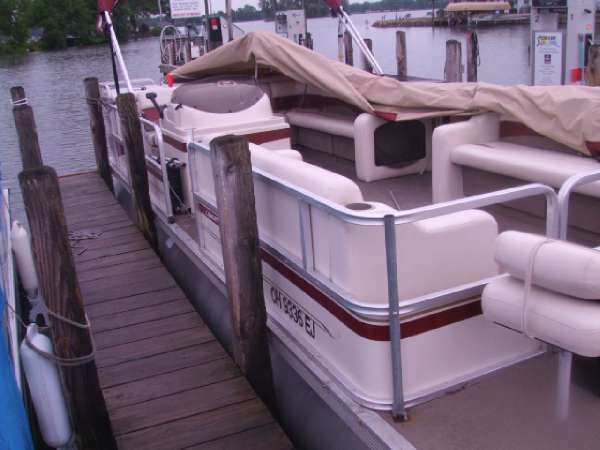 I have put way over 100k into this boat so the boat is priced to sell, The boat is in great condition!!! This boat new would cost over 200k. 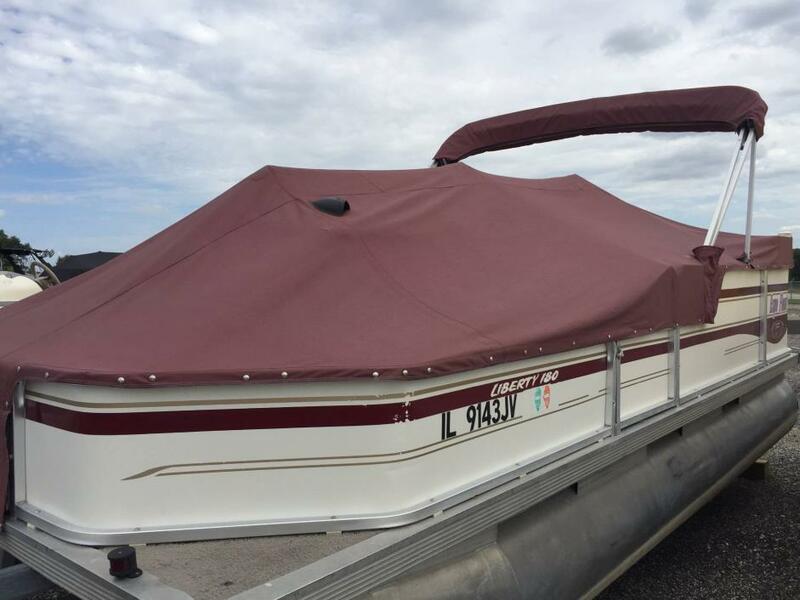 You can reach me at 239-272-8003 Appointment only with only serious buyers, The boat is on a trailer at Hill Marine in Fort Myers, Florida, they will be happy to show the boat!!! 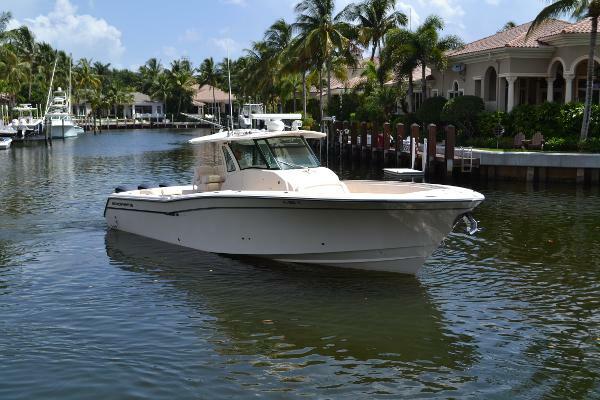 2011 Grady White Canyon 366 Grady White's Canyon series of center consoles are known for their great ride, stable hull, great family fishing features, and top build quality, and the 366 is the queen of the fleet! 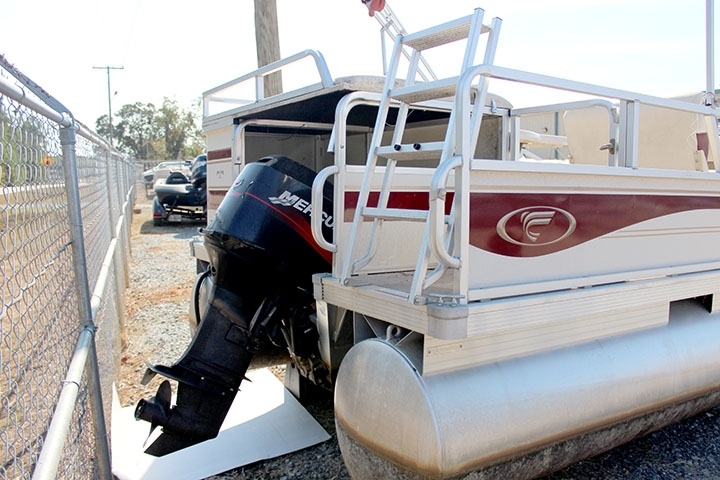 This 2011 Grady White 366 Canyon has been lift kept since new with no bottom paint, with only 200 hours on the triple Yamaha 350HP Four-Strokes. Having been just serviced 33 hours ago, her engines have warranty until February 3, 2018. 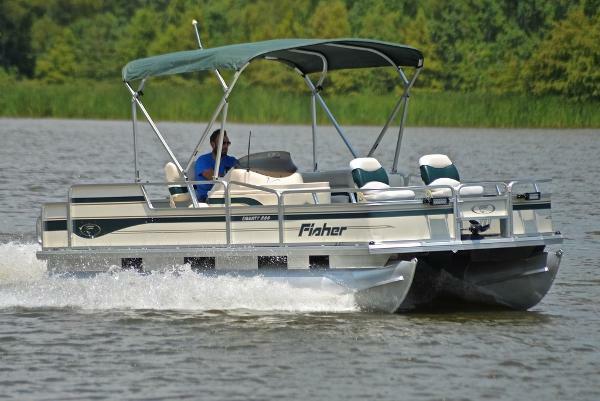 "Liberty" comes equipped with nearly every factory option available, including the Fisher Panda diesel generator, Air conditioning in the console and at the helm, temperature controlled aft fish box, electric grill, microwave, console refrigerator, TV, hot water heater, front filler platform with cushions, underwater lights, (2) live bait wells, and outriggers. This is on top of the great standard features like power assist steering, bow thruster, trim tabs, stereo, in console cabin with berth, galley, and electric head, anchor windlass, (3) wide helm chairs, and the integrated aluminum T-top with glass enclosure and wing curtains. "Liberty" has extensive electronic, including twin Raymarine 16 E-touch displays, 1kW bronze thru hull transducers, open array radar, autopilot, ICOM M504 VHF radio, remote spotlight, as well as a down facing underwater and aft facing cockpit camera system. Don't miss this chance for a fully loaded, lift kept clean Grady White!